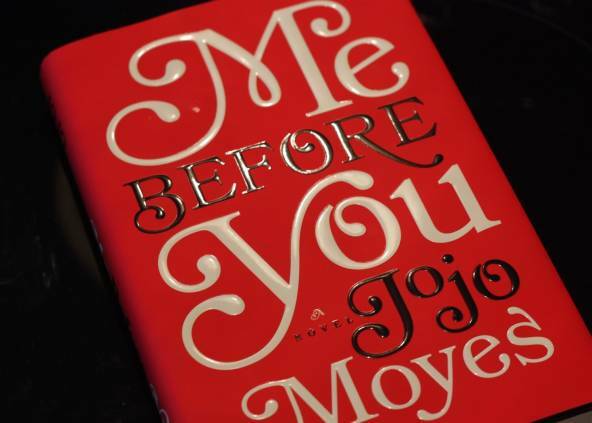 “Me Before You” is the type of book that grabs your attention from the very first word and keeps it to the last page. The story tells about a young woman named Louisa Clark who has lost her job at the local café and has struggled to find a new one. In desperate need to help support her family, she applies and works at multiple jobs, none that truly fit her liking. That is until she applies for a position that brings Will Traynor into her life, this job turns Louisa into a full-time caregiver for this quadriplegic man. She is given only 6 months to make this dejected man’s life into the joyful person he once was. During this period, Louisa dedicates her life to Will; not just caring for him but making him see life beyond the chair he is bound to. From strolls in the park to wild vacations, Louisa and Clark are inseparable. This love story brings an amazing concoction of happiness and sadness. By the end of the book, the tears will be rolling and plenty of tissues will be soiled. Enjoy!